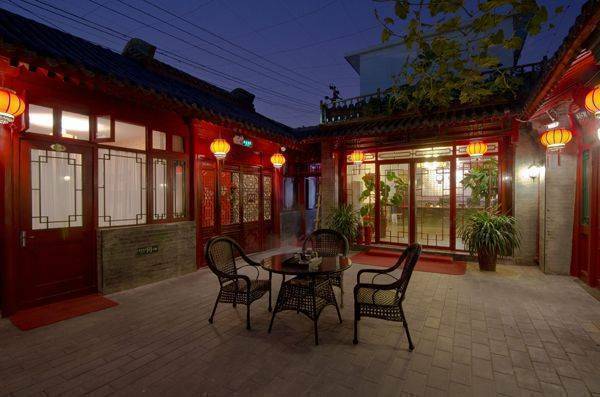 Conveniently located in Beijing, Qianmen Courtyard Hotel is a great base from which to explore this vibrant city. The hotel is not too far from the city center: just 5. 0 km away, and it normally takes about 60 minutes to reach the airport. With its convenient location, the hotel offers easy access to the city's must-see destinations. Take advantage of a wealth of unrivaled services and amenities at this Beijing hotel. To name a few of the hotel's facilities, there are business center, car park, family room, Wi-Fi in public areas, tours. 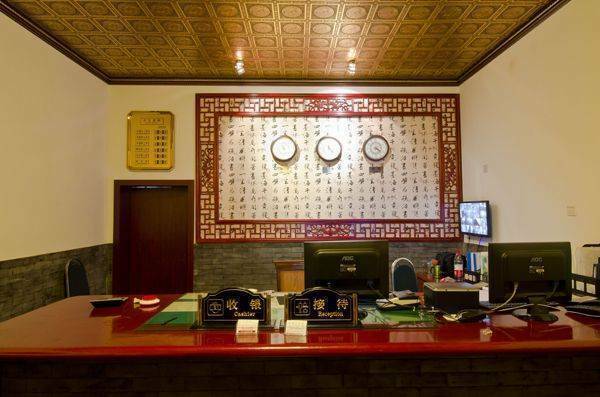 Qianmen Courtyard Hotel is home to 50 bedrooms, all tastefully furnished to provide comforts such as desk, shower, internet access – wireless, internet access – LAN (complimentary), air conditioning. Besides, the hotel's host of recreational offerings ensures you have plenty to do during your stay. 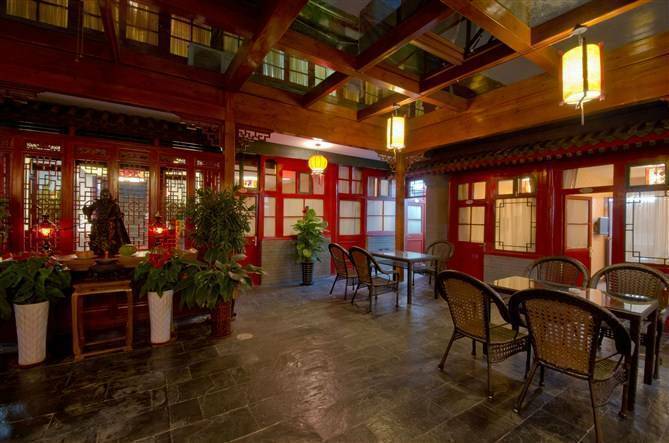 With an ideal location and facilities to match, Qianmen Courtyard Hotel hits the spot in many ways. 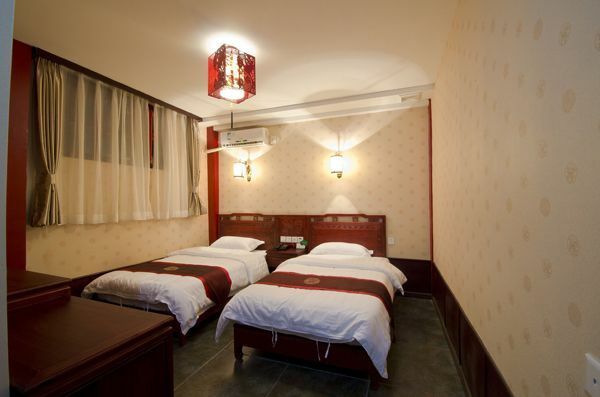 Chinese-style air-conditioned room comes with a flat-screen TV, electric kettle and heating. En suite bathroom has a shower. If cancelled or modified up to 2 days before date of arrival,no fee will be charged;later or in case of no-show,100 percent of the first night will be charged. 1) Take the shuttle bus to Xidan then cross the main street to change bus line 826 to Dashilar, then follow the map cross the small hutong to the hostel. 1) Take the bus which leaves the station by the north exit, walk right (east) to the bus park and take bus No. 20 to Qianmen (1RMB). 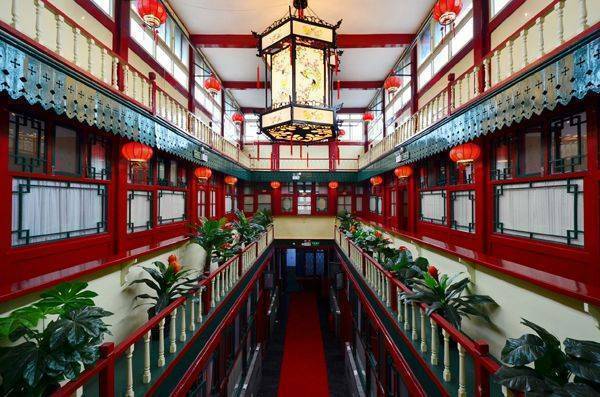 Then follow the map: go straight along Meishijie for 6 minutes to Shijia Hutong. 1) Leave by the North exit & take bus 9 or 821 from infront of the station to Qianmen (1rmb or more). 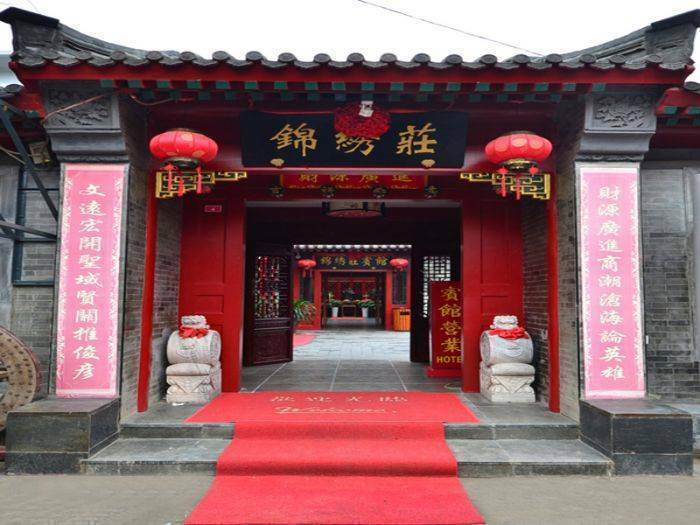 Then go straight along Meishijie for about 6 minutes to Shijia Hutong. 2) Leave by the North exit, walk 10 minutes north to the Military Museum (Junshi bowuguan) subway station. Take the subway to the Fuxingmen station and then change to the loop line (Line 2) to Qianmen station - 2rmb. Then follow the map go straight along Meishijie to Shijia Hutong.